Ships in 24 Hours. The waist measurement needed is the actual waist measurement, not your pants size. 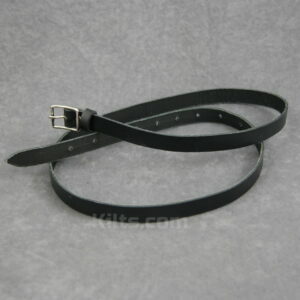 Typically, your pants will be 2 to 4 inches smaller than your actual measured waist. 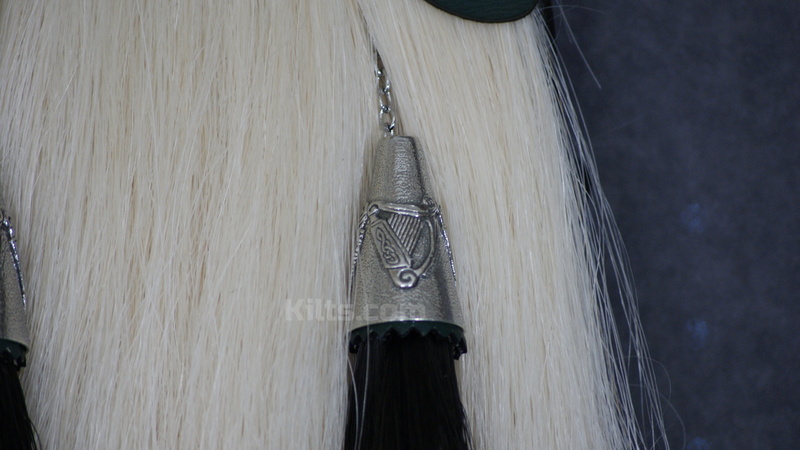 Our Irish Horsehair Sporran is a truly spectacular kilt pouch. 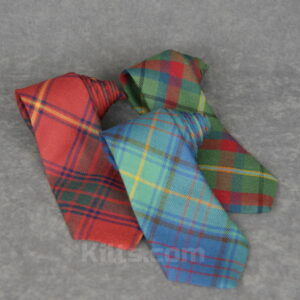 Expertly crafted by Celtic Artisans, it really is one of the highest quality sporrans. 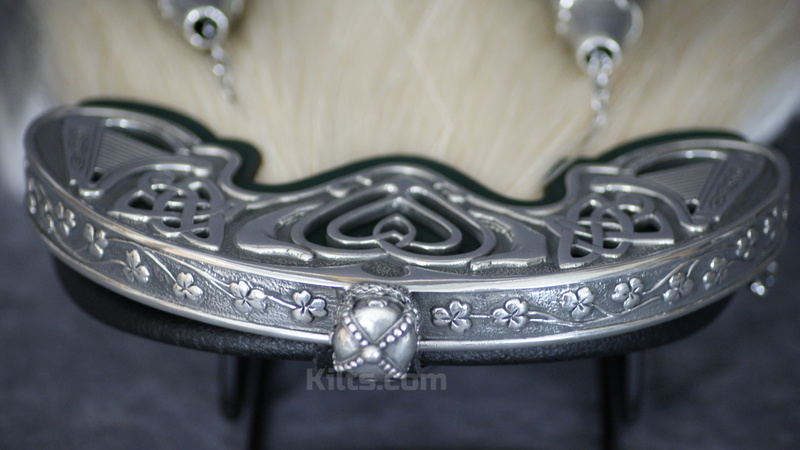 This horse hair sporran includes a hand sculpted cantle of the claddagh, knot and harp. 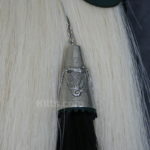 You will notice that the heart, harps & knot work are all incredibly detailed, and we have provided some “cutaways” to enabke the high quality leather to show. 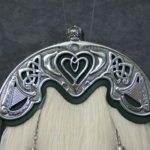 We have also replaced the “ball” which is normally seen at the top of the cantle with a crown, which we think truly completes the heart, hands & crown design of the claddagh. 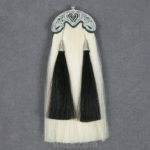 We have made sure that we used traditional Irish harps to go beside the claddagh. We also took great care in ensuring that the knotwork resembled the Book of Kells. 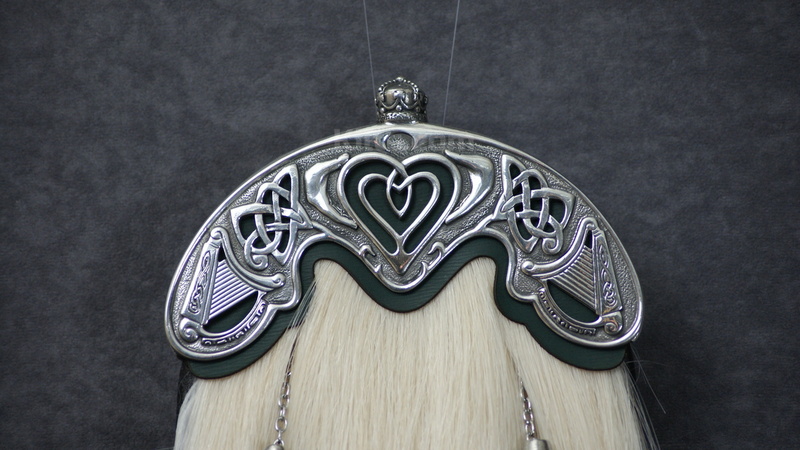 For added detail, you may notice on the shoulder of the cantle that we have added tiny little shamrocks & the cones of our Irish Horsehair Sporran were in fact cast with three little harps on each cone. This sporran not only looks great, it is also functional. 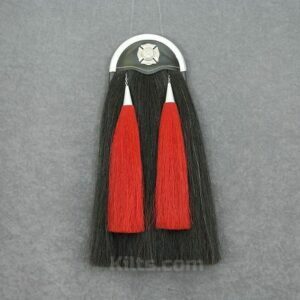 The pouch enables you to store your loose change, or your phone while you wear the kilt & sporran. 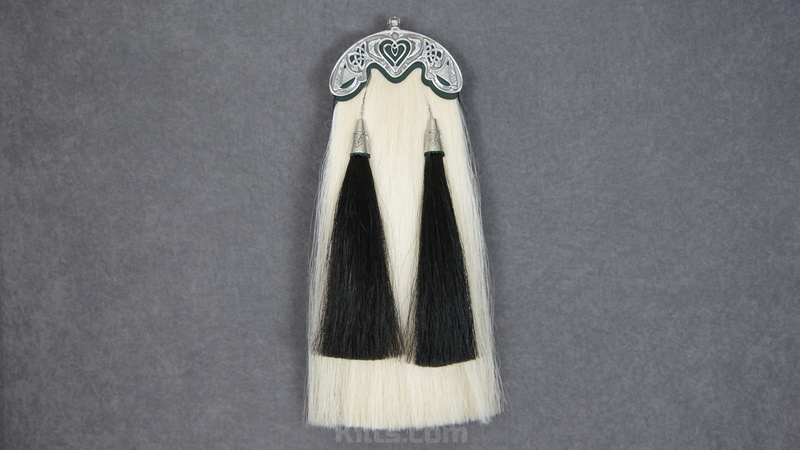 It is lined with suede for added quality. 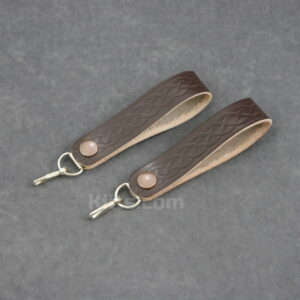 The sporran comes fitted with a sporran chain to fit the waist measurement provided. The waist measurement needed is your actual waist measurement. It is important not to provide your pants size. On average, your pants will be approximately 2-4 inches smaller than your actual measured waist.